Cuisine of Karwar, a small town on the western coast of India, just south of Goa, is unique in its taste, flavour and variety. People of Karwar have spread over different parts of India and the world in search of employment and livelihood. But the Karwar Diaspora, no matter where it exists cares for the food of the native land. There are books on Goa cuisine which is well advertised but Karwar cuisine is less known. Though it may have similarities to Goa cuisine, it is distinct. Goa was under Portuguese rule for five hundred years and this inevitably affected the content and the style of cooking with the inevitable impact of the Portuguese food style. But Karwar cuisine has retained its pristine purity and traditional favour. the Malwani food in south Konkan is similar in some respects. But Karwar food has its own tongue- tingling and mouth-watering quality. It is quite distinct from the food of the neighboring Karnataka and Maharashtra states. Karwar food deserves to be widely known and its dishes made accessible to not only the Karwar Diaspora but also all the lovers of good food the world over. Local crops and products, fruits and vegetables inevitably enter into the cuisine of the people. 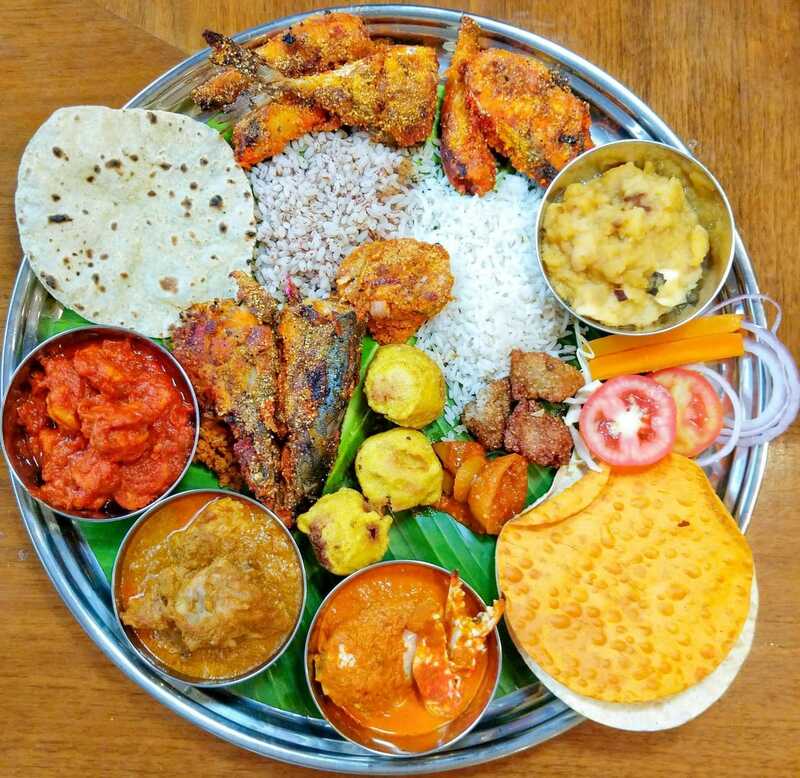 Rice, cocoanuts and the fish are naturally the main ingredients of Karwar food but it is enriched by wide varieties of fruits, nuts, vegetables, leaves and spices. A taste of Karwar in the city! 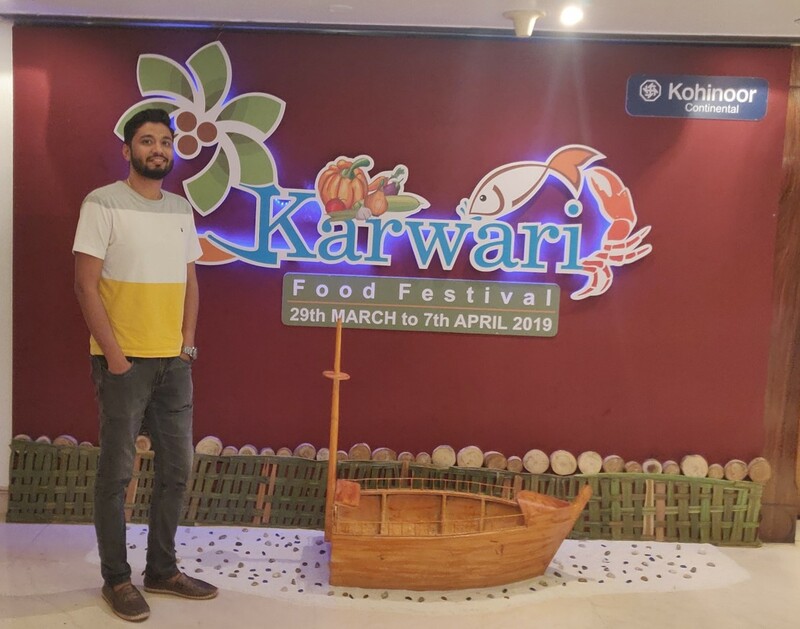 I was recently invited to review the Karwari Food Festival, that Hotel Kohinoor Continental is hosting at The Solitaire, their multi-cuisine restaurant. This festival is put-together by a Karwari Master Chef and is being hosted since 29th March, 2019 until tomorrow, 7th April, 2019. From various seafood and meat dishes to delicious a vegetarian spread and desserts, the menu did definitely give me the flavor of Karwar. The main course included Visvan Ambat (King Fish Curry), Mori Sukhe (Shark Curry), Sugata che Sukhe (Crab and Prawn curry), Karwari Checken Masala (Green Chicken), Tisrya Amti (Clam curry with drumstick and raw mango) and many more. For a pescatarian that I am, the variety of Fish Bhajillo (fish fry) was a food heaven for me. There was Surmai (King fish), Papleta (Pomfret) and Nagli (Lady fish) on the spread – however I would have preferred these to be a little more well marinated. The desserts included Sukrunde (Gram flour and Jaggery dumpling), Kelya Mulka (banana flitter) and Gadbad Ice Cream. All this in a beautiful Karwar theme, with Solkadi, Karwari visuals all around and traditional Karwari music in the background for that perfect experience. Karwar cuisine is a tradition that has evolved from generation to generation and is a part of Karwari way of life. A Karwari housewife does not mechanically follow written prescriptions and formulae in a recipe book but relies on her own uncanny judgment of taste and flavour. She passes on her skill to daughters and daughters-in –law. Things have undergone a change in recent years. All in all, if you want to try a unique yet traditional cuisine this weekend, head to Hotel Kohinoor Continental’s Karwari Food Festival and enjoy the huge authentic spread which will make you want to take a trip to Karwar! ← Pretty on the Eyes, Easy on the Pocket: My Super Special Sunday Brunch at Sorrentina By Foodhall!